Ibuprofen Dosage: What Is Safe? Ibuprofen dosage can vary depending on whether or not you are treating an adult or a child. But first of all what is ibuprofen? It is the generic name for Advil. 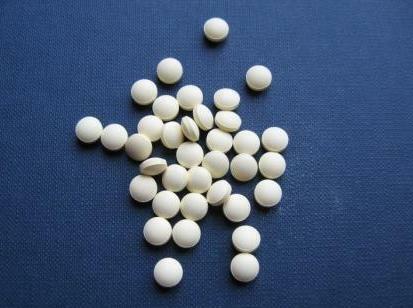 It is from the class of drugs called NSAIDs or non-steroidal anti-inflammatory drugs. They are considered a separate class of drugs from steroids as they have a different mechanism of action on inflammation than steroids do, and have far less side effects in general. They can work in many parts of the body to reduce inflammation and also effect parts of the brain releasing factors that cause inflammation. Before you start to take any medication for headache, you should try to determine what type of headache you have. Advil (ibuprofen) has many uses and is indicated for arthritis, muscle aches (localized inflammation occurs),ligament strains such as a sprained ankle, menstrual pain and headaches. Many people use it to treat low level migraines in addition to neck pain. What Is My Ibuprofen Dosage? Adults: 200-400mg (1-2 doses)every 6 hours as needed for pain, maximum 1200mg/day. Children age 2-12: 7.5-10mg/kg of weight every 6-8 hours as needed for pain or fever. A kilogram is 2.2 lbs so a 50lb child could have 170-227 mg every 6-8 hours. It is best to use the liquid form for children. Children under age 2: Children this age should not have any medications without the supervision of a pediatrician. NOTE: When treating children, you can give them ibuprofen and then two hours later give tylenol. This can be very effective if you are trying to treat a fever. Interspersing tylenol and ibuprofen can help calm a fever and treat pain. The medications can be taken together in this manner. When it comes to deciding whether or not to use Ttylenol(aceominophen) with ibuprofen, the dosage is a bit confusing. This is because the indication (pain, fever or headaches) determines how much to take. Unlike ibuprofen, it is not one of the NSAIDs or non-steroidal anti-inflammatory drugs. They are considered a separate class of drugs from steroids as they have a different mechanism of action on inflammation than steroids, and have less side effects in general. They effectively work in many parts of the body to reduce and even stop inflammation and also effect parts of the brain releasing factors that cause inflammation. Tylenol on the other hand is not an anti-inflammatory, but is a pain killer and reduces fever. It also does not cause Reye Syndrome which is why it is a good choice for children. Reye Syndrome can occur rarely in children who are exposed to aspirin when they have a fever. This medication should usually be taken with food to avoid upset stomach, especially with children. It can take 20-30 minutes to start having an effect and the peak effect occurs at about 2 hours after ibuprofen dosage. If you have a history of headaches or migraine, do not take any over the counter pain medication more than twice a week for headaches. More frequent use can lead to analgesic rebound headaches, however, studies have indicated that using an anti-inflammatory or NSAID (non-steroidal anti-inflammatory) 10 times a month or less can actually confer some protection against migraine. Using it more than 10 days a month will increase the risk that you will move into 'headache due to medication overuse' also known as analgesic rebound. If you are having only 1 or at most 2 minor headaches per week then this ibuprofen dosage should be fine for you. I should note, that the issue of medication overuse does depend on the type of drug used. For example, if using an opiod such as Lortab (hyrocodone) then as little as 8 days per month can increase your incidence of migraine. Although ibuprofen dosage is generally safe, there are conditions where it should not be used. If you are concerned you can read more about this and ibuprofen side effects. Visit the Headache Adviser Store for books and supplements.